Rarely comes up for sale. 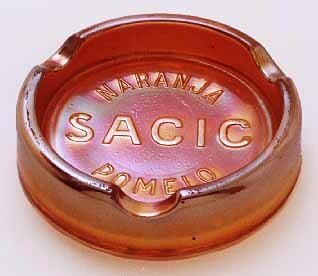 Around the letters SACIC are the words NARANJA POMELO. Only known in marigold. One sold in 2001 for $50 as did another in 2007. A third sold in 2009 for $10.